When you work with Sandy & Bill, you benefit from their longtime local knowledge and proven track record of 30 years in Real Estate. Bill's analytical mindset that served him well in engineering allows him to seamlessly handle all the details of your transaction. Sandy's expertise in helping sellers prepare their house to be sold has helped hundreds of homneowners receive maximum dollar for their home. Behind Sandy & Bill is a support team that makes them always accessible and ready to serve their clients. Each Realtor on The Humphrey Team provides the highest level of service at no extra cost to their clients, including: Professional Home Cleaning, Professional Home Staging, Professional Photography, Individual Websites, Professional Marketing and Full Color High End Brochures! Darren Humphrey - On and off the golf course, you can see that Darren Humphrey is a driven individual. In anything he pursues, he strives to give his all and make the biggest possible impact. 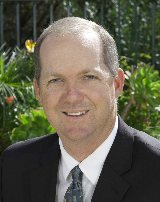 As one of the Conejo Valley’s premier real estate professionals and a key part of The Humphrey Team, Darren is one who people turn to for exceptional results. Theresa Hertz understands that every moment in life should be cherished. She has blended her passion for the Conejo Valley lifestyle with her people skills and business savvy to help neighbors and newcomers alike with all of their real estate needs. She earned her real estate license and immediately established herself as a premier resource for anyone looking to buy or sell a home in her area. When you work with Theresa, her local knowledge and connections immediately put you at an advantage. She’s extremely professional in her dealings, but also adept at making her clients feel comfortable. But most importantly, just as Theresa makes the most of life every day, she strives to help her clients make the most of their real estate transactions. With Theresa on your side, you can rest assured that every detail will be tended to and your best interests are always her driving motivation. Her life’s mantra is Making Every Moment Count, and when it comes to her real estate services that means capitalizing on every opportunity for her clients and helping them make the most of their moves! 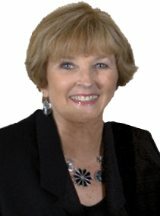 Lynne Casey is a real estate agent and buyer specialist. Lynne is an alumni of Ohio State University (Go Buckeyes! ), where she majored in business education. Lynne has been working with the Humphreys since 1987 and received her Real Estate license in 2003. She has been diligent in finding the perfect home for her clients and will stick with them no matter how long it takes. She truly loves showing property, and it is evident in her fun-loving personality. 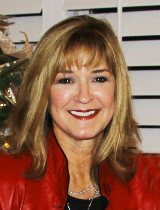 Teri Hanmer, our escrow/listing manager, has been a member of The Humphrey Team for over 25 years. There are myriad complex details involved in the closing process, and Teri has a way of handling all of these details, running our busy office, and pampering our clients, all to perfection. How she does it all, we'll never know! It's little wonder she's considered "the best in the business" and is continuously receiving offers from other real estate agents who would love to steal Teri from us. Teri and her family have lived in the Conejo Valley for over 40 years. Teri and her husband Bob have four sons that have blessed them with six grandchildren!